Although the lighthouse in the photograph dates only from 1968, a lightship station was first established on this site in 1914. Hoever, the lightship came to a sorry end in February 1929 when it was hit by the steamship Storesand 1. The lightship sank as a result of this totally unprovoked "attack", and its wreck still lies on the bed of the fjord where it is a popular attraction of sub-aqua divers. 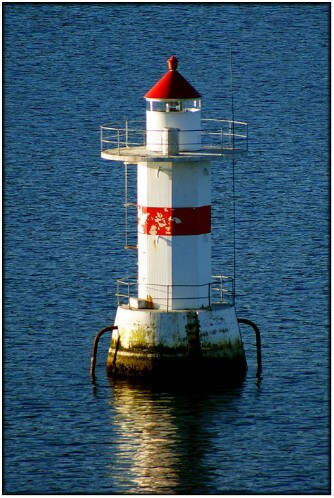 The light is located on the east side of Oslofjord, roughly half a mile offshore to the west of Nesodden.